Lt. 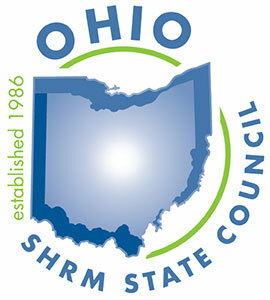 Governor Husted will offer keynote address at 2019 Ohio SHRM Employment Law + Legislative Conference on May 15, 2019. Don’t wait and register today! On November 6, 2018, Jon Husted was elected to serve as the 66th Lt. Governor of the State of Ohio. He has had a long and distinguished career in public service, serving as the 53rd Secretary of State, 99th Speaker of the Ohio House of Representatives, and as a member in the Ohio Senate. After receiving his master's degree from the University of Dayton, he remained in the Miami Valley and served as the Vice-President for Economic Development at the Dayton Area Chamber of Commerce. Throughout his time in elected office, Lt. Governor Husted has demonstrated repeatedly his ability to get things done that have a positive impact on Ohio and its residents. As Secretary of State, he made it his mission to make Ohio the best state in the Midwest to do business by improving customer services and reducing wait times for entrepreneurs. He reduced the cost for starting a business in Ohio by 21 percent - making Ohio the least costly state in the Midwest to start and maintain a new business. We look forward to having Lt. Governor Husted at the conference to discuss issues that are important to the state and HR professionals. We will be applying for continuing education credits for SHRM and HCRI certifications as well as Continuing Legal Education (CLE) credits. Past conferences have qualified for 7 to 9 recertification credits from both SHRM and HRCI as well as between 5 to 7 CLEs. Your registration includes the Breakfast Legislative Reception, Lunch and presentation materials on May 15, 2019. If you plan on staying at the Sheraton please make your reservations directly with the hotel by calling (614) 365-4500. Let the hotel know your stay is for the Ohio SHRM Employment Law & Legislative Conference.